A five-county regional planning organization will have a public meeting on greenways at the Oak Ridge Civic Center tonight. It’s one of four regional meetings and part of an effort to expand and connect greenway systems in Anderson, Blount, Loudon, and Union counties, a press release said. “The goal is to identify new connections in and between these communities,” said a press release from PlanET, a partnership that also includes Knox County. Organizers said they will collect information from local community members on what they believe a regional network of greenways should look like. The series of meetings starts at 5 p.m. today in the Oak Ridge Civic Center A/B Room. It continues on Thursday at the Maynardville Senior Center in Union County. The last two meetings are Dec. 4 at the Loudon County Courthouse Annex and Dec. 6 at the Blount County Public Library. Organizers expect the meetings to result in a regional map depicting potential greenways and blueways routes. The press release said there are more than 750 greenways in Tennessee that provide access for “people of all ages to get outdoors and enjoy our abundant natural beauty. PlanET is providing technical resources for the greenway work, aided by the Knoxville Regional Transportation Planning Organziation, and the Great Smoky Mountains Regional Greenway Council. 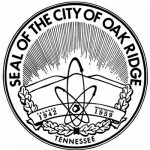 The Oak Ridge Civic Center is at 1403 Oak Ridge Turnpike.